It is that time of the year. Reno National Championship Air Races. 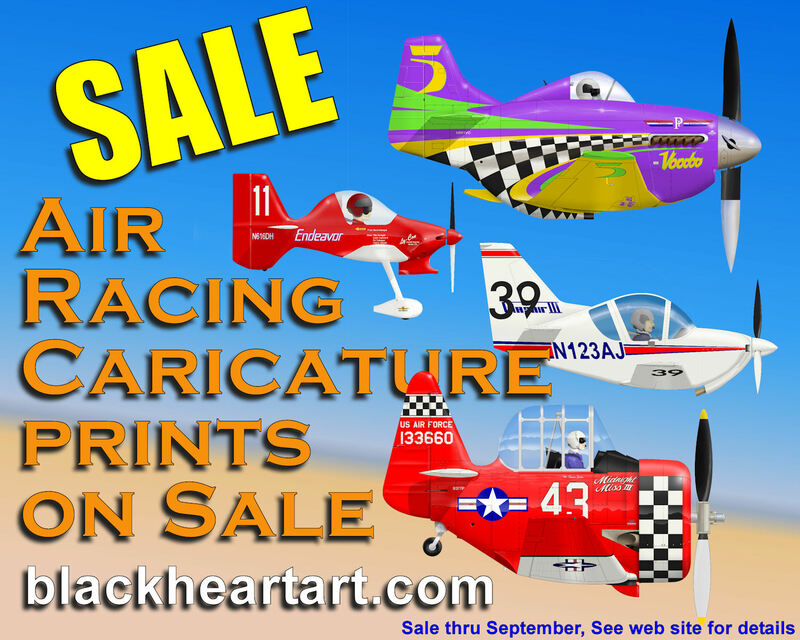 To celebrate we are running a sale on all Air Racer caricatures. This sale will run through September. Now is your chance to get your favorite racer. We lack a few but are working to catch up. We do accept commissions if you don’t see your favorite racer.